3 Foot Industrial Chain Link Fence Fabric Durable Strong Surface Low Maintenance - CHAIN LINK FENCE | CHAIN LINK FENCING - HEBEI QIJIE WIRE MESH MFG CO.,LTD. Chainlink fencing is the ideal solution for those on a budget. But saving money doesn't mean you have to compromise on appearance or security. Choosing a black chainlink is the best choice for a smooth blend with virtually any combination of landscape features. Galvanized fences offer functional security at an affordable price. Chain link is time-tested, offering economy, security & colours to suit most applications. Customers today recognize the value of traditional chain-link fence as it remains affordable, highly dependable and the world’s number one selling residential fence system. Residential chain link is a long-lasting and economical fencing solution suitable for home use, available in galvanized(silver) or coloured(black, green, brown or white) finishes. Gates can easily be ordered to fit custom sizes. There are also many options available to enhance the appearance and utility of your chain link installation, such as self-closing gate hinges or PVC privacy slats. 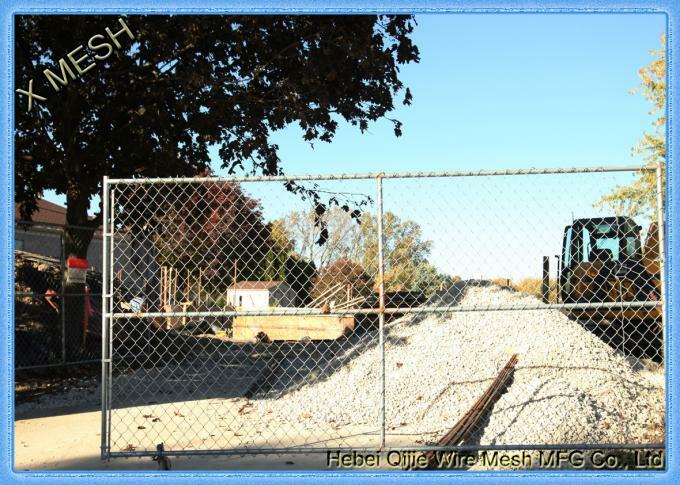 Commercial/Industrial/Institutional chain link is a great investment. Strong pipe steel framework and heavy gauge chain link mesh make it tough and long-lasting. Available in a wide range of specifications with or without barbed wire or razor ribbon, industrial chain link is the right fence for almost any application where strength and durability are requirements. Low cost: chain link fences are a cost-effective alternative to other fence types such as wood, iron, and vinyl fences. Strong & durable: chain link fences are built to last with galvanized wire mesh that do not rust. Low maintenance: the most you will need to do for a chain fence is wash it down with water and soap, not worrying about paint, sealers, and other finishing products. Security: because of the above properties (strong, durable, lasting), a chain link fence is a great way to protect something, whether that be your home, property, pool, or other. With a chain link fence, it's also very easy to extend, repair, or replace sections. Likewise, adding a chain link gate to your fence system is simple and inexpensive. All our chain link fences are backed by a 10 year warranty from the manufacturer.